Witches like Ruby and Courtney can take care of themselves. So when Courtney is murdered, Ruby’s world crashes to a halt. The only thing keeping her grounded is the return of Courtney’s brother, Cooper. He seeks revenge, but Ruby wants to help other witches stay alive. To do that, she’ll have to reunite with her old coven’s High Priest, who also happens to be her cheating ex-boyfriend. This book was packed to the gills with suspense, murder, and a plot that was absolutely riveting. I couldn't put my nook down from the moment I started this one. I had to know who was doing the killings and why. A few times I thought I had it all figured out only to second guess myself and think it was someone different. It really was a great mystery-murder-supernatural-romance. But be prepared to have some time on your hands to read it. Like I said, it was not one I wanted to put down and I finished it in a few hours time. In need of a story that will have you on the edge of your seat trying to solve numerous murders? Yearning for a bit of romance while trying to solve said crimes? Well here you go. 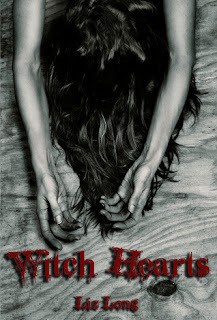 WITCH HEARTS has all that and more. Long has done it again with another supernatural thriller. WITCH HEARTS is a sure thing. Pick it up today and enjoy some great writing while solving a horrific crime.